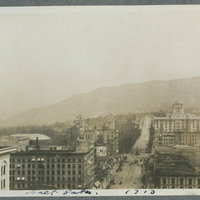 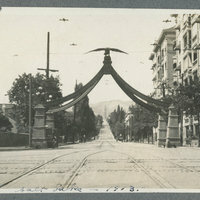 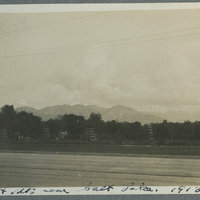 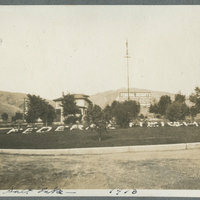 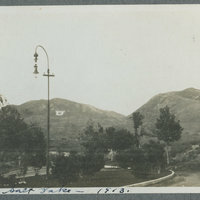 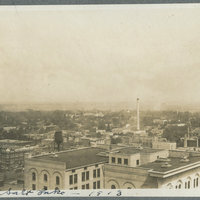 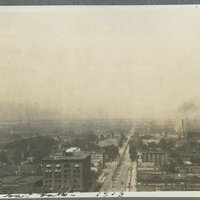 1913 Photo album of Deer Park and travel to Colorado and Utah (Pg 060): Federal Heights looking towards the University of Utah Block U on the hillside. 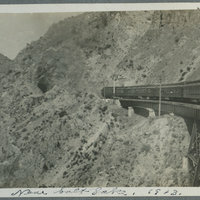 1913 Photo album of Deer Park (Pg 052): Near Salt Lake City in 1913, passenger train on trestle getting ready to enter a tunnel. 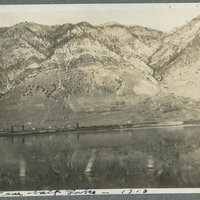 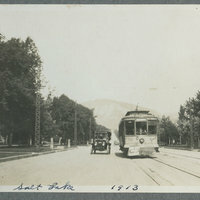 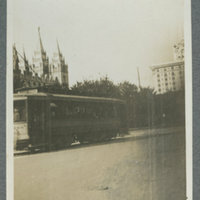 1913 Photo album of Deer Park (Pg 050): Lake and nets near Salt Lake City, 1913.